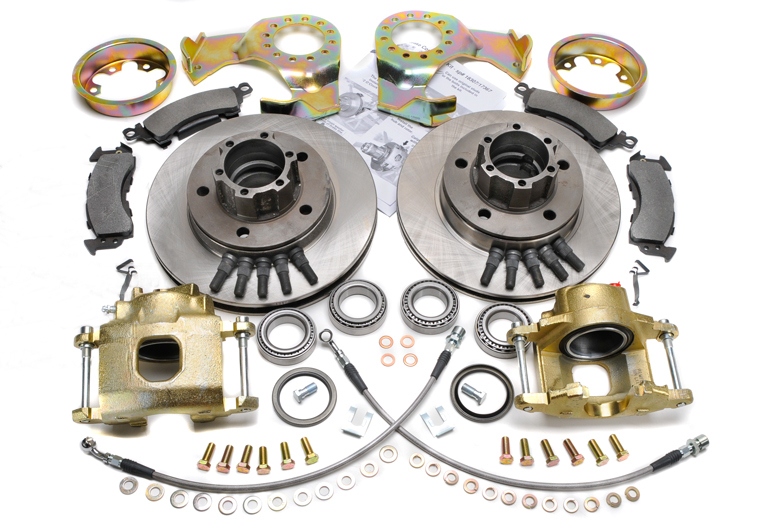 Our front axle disc brake conversion kit replaces the front drum brakes of your 4 wheel drive Scout 80 and 800 with disc brakes. Disc brakes are reliable, easy to service, and provide additional stopping power for your Scout 80 or Scout 800. Although it is bolt on and easy to install, it is intended for installation by a professional brake specialist. Kit includes directions, new hub and thick rotor, caliper brackets, remanufactured calipers with stainless steel hoses and banjo bolts, and new bearings, races and seals. Brake hoses are long enough to fit a 6" lift. 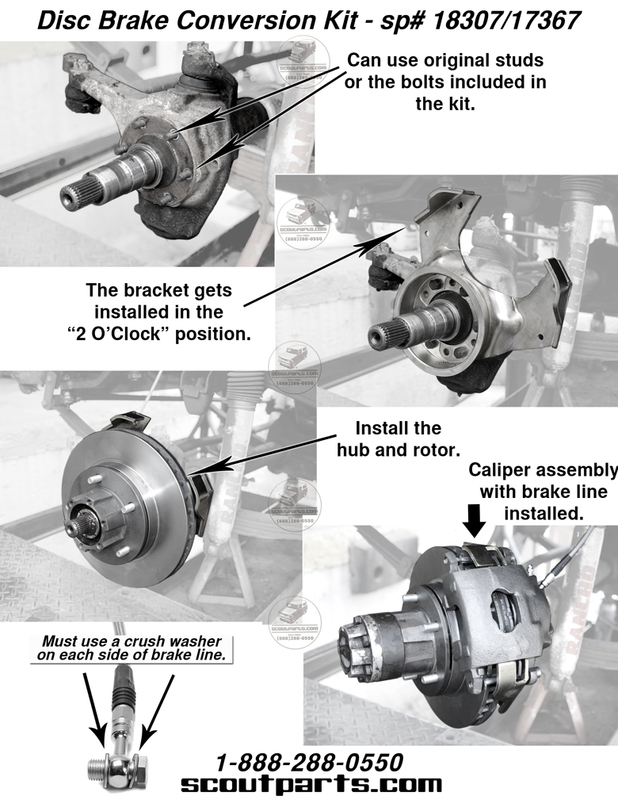 Why spend more money on those old drum brakes. Replace them with new disc brakes for the same price as a brake job. (Not all calipers are gold color) Caution: never drive untested brakes on the street. Test them at slow & then higher speeds in a safe area with out obstacles. The shipping cost reflects the total weight of the kit: 85lbs If for some reason you want to return this item, No problem, but Scoutparts does not pay return shipping.